Are you the proud owner of a Canon wide format printer? First of all, congratulations for choosing such a fantastic product for your office. We've had loads of customers praising the designs of Canon's range of wide format printers. Your company has no doubt benefited from its stunning array of features. Like any good machine, it's important to maintain your printer so it continues to work the way it should. The modern features of Canon's range have made it easier than ever to carry out wide format printer maintenance tasks. Need advice on wide format printer maintenance? Get in touch. The print head is the part of your printer that does most of the heavy lifting. It's the component of your printer that's responsible for spraying the ink onto the page. Although it's unlikely, the nozzles of the print head can become blocked. There are key steps you can follow to help prevent these blockages from occurring. We recommend performing a nozzle check print at least once a week. Performing a nozzle check print is a simple wide format printer maintenance task that only takes a few minutes. This check can be carried out by making a few selections via the control panel. There's no need to enter the command for this test via a PC. 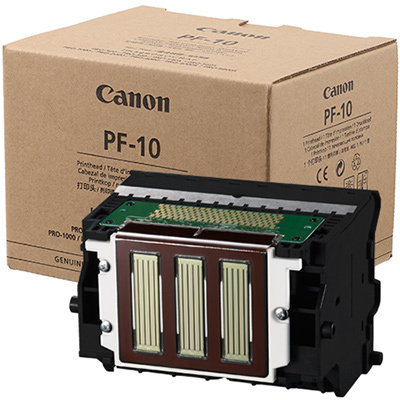 Canon's latest models enable you to check one individual ink group instead of the entire head. The advantage of this feature means you can save on the amount of ink you're using every time you carry out a test print. The nozzle check print itself comes out as a grid of colours. If any of these grids appear broken or faint, it could be an indication that you have blocked nozzles on the print head. These nozzles should be cleared so your printer can continue to print the way it should. If the test indicates a blocked nozzle, fixing this issue is simple. Simply enter in your selection for print head cleaning via the control panel. Canon printers from the imagePROGRAF PRO range give you the option to carry out three options in the form of cleaning, deep cleaning, or system cleaning. Canon wide format printers now offer an array of flexible options when it comes to ink maintenance. One of the most impressive features of this range is the sub-ink system. Essentially this feature allows you to swap over ink tanks while the printer is still printing. So you'll never have to worry about losing ink halfway through a print again. 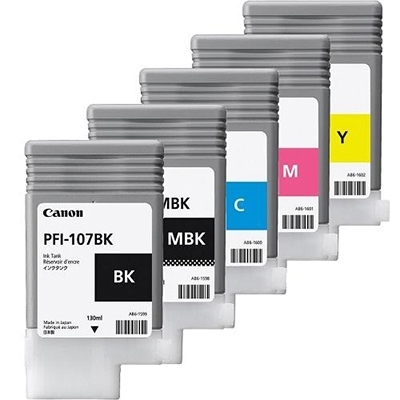 Another economical feature of the Canon's wide format range is the ability to pick and choose what size ink cartridges you want for different colours. This option serves to benefit users who know which colours they predominantly use for prints. If your studio produces fewer prints in red and blue, you can choose a smaller 160 millilitre cartridge. If greys and yellows are used more, you have the option of installing a 700 millilitre cartridge for these colours. So keep this feature in mind the next time you need wide format inks. Choosing the right size ink cartridge can save your business thousands in expenditure for print resources. Wide format printer users may find that their roll of media has become misshapen. This issue causes the paper to skew which leads to misprints and mis-loads. It can cost your printing business valuable time and resources. Luckily, Canon's PRO series has a few features up its sleeve to fix this problem. Canon's skew detection setting enables their printers to automatically adjust prints so their quality isn't compromised by the alignment of the paper. If the media still ends up being skewed on the core, a small margin can appear on the edge of the print. This creates a small white space on the border of what should be an edge to edge/full bleed image. To eliminate this issue, a little wide format printer maintenance is required. Simply adjust the borderless setting. This feature can be accessed via the printer's control panel. Keen to find out more about maintenance for Canon wide format printers? Get in touch with our Canon experts from Total Image Supplies. Over the years we've supplied Canon wide format printers to architects, graphic designers, commercial printers, and small businesses. Our Canon experts understand the performance expectations of customers from various industries in Australia. With that knowledge comes the great advice they can give you for maintaining your wide format printer. If you've recently purchased a Canon printer or are seriously considering it, give Total Image Supplies a call today. 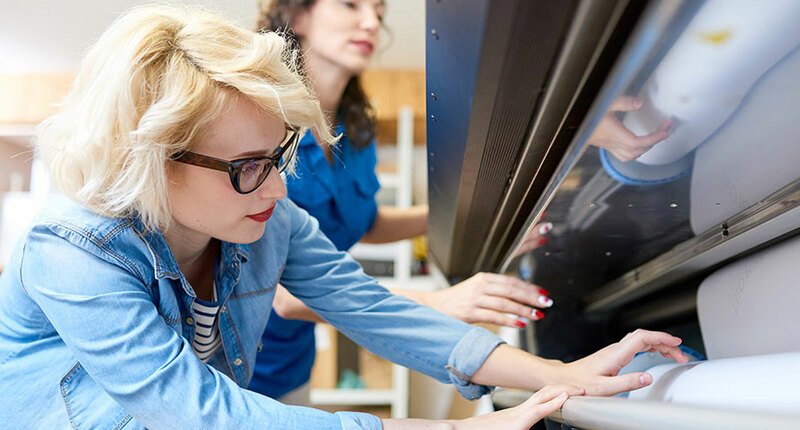 Want reliable advice on wide format printer maintenance? Talk to our team of Canon printer experts on [phone]. Looking for a new printing solution to support your printing service? Here's what you need to consider before you invest in a new wide format printer. The new range of imagePROGRAF PRO series printers from Canon is just another reason why they're still regarded as industry leaders today.